John William Harmston (a.k.a. John W. Harmston or J. W. Harmston) was an English composer of the mid to late 19th century. His major works include two sonatas for cello and piano, Opus 203, Cello Sonata No.1 for Cello and Piano, and Opus 222, Cello Sonata No.2 for Cello (or Violin) and Piano. His works number in the order of 240, the majority of which fall into the category of drawing room music. John William Harmston was born in 1822 to William and Eleanor Turner Harmston (née Wake) of Lincoln. He studied music with Sterndale Bennett and in 1844 a set of four quadrilles produced by John William were published in London by Purday and Co. About the same time he was instrumental in establishing a series of concerts in Lincoln and surrounding areas. 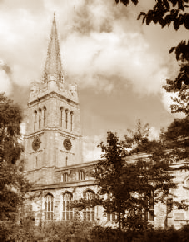 By 1845 he was established in Lincoln as a teacher of piano, flute and violin and in 1846 was elected organist at Kettering Church, Northamptonshire. He was the first-born child with three brothers and three sisters. He was born on 22nd April 1822 in London and was baptised at St. Agnes on 21st October 1822. No record can be found in parish registers. All his brothers and sisters were, however, born in Lincoln. 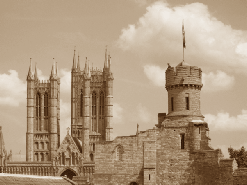 In 1841 John William was living with his parents and siblings at Bail Gate, Lincoln.